Paige Duke-Murray and Ty Murray's little bundle of joy steals the show in her first photoshoot. Photos courtesy of Madi Wagner Photography. 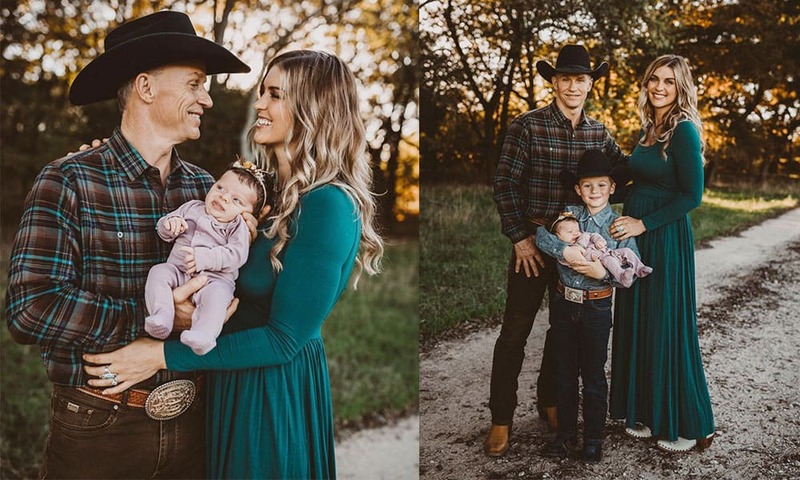 The new family photos from Paige and Ty Murray are everything you’ve been waiting for! She sure is right! Family photos are something you definitely don’t want to pass up on. Your littles will never be this age again. You need to remember to freeze-frame time! See? It’s precious moments like this that you want to hold on to forever. Click here to take a step back in time to Ty and Paige’s wedding day!